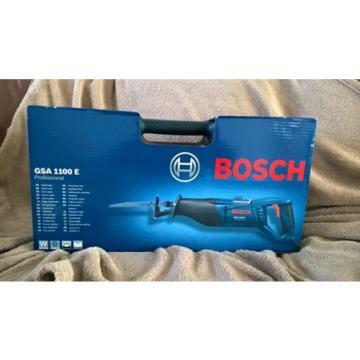 Bosch GSA1100-E 1100W Reciprocating Saw 240V Tool-Free Blade ChangeTool-free lever blade adjustment system with saw hook for easy hanging and storage. Supplied with 2 x blades and carry case. Variable SpeedTool-Free Blade ChangeVariable-Position ShoeAll-Metal GearingReplaceable Carbon BrushesLED Work LightSoft-Grip Handlefree local collection or Hermes tracked and signed for.UK post onlyAny questions please ask.